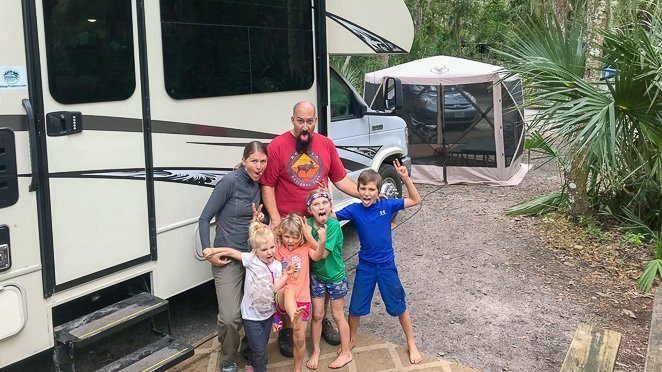 Being a full time RV family and traveling across the country in a 33-foot RV was never on our radar. Not even close. 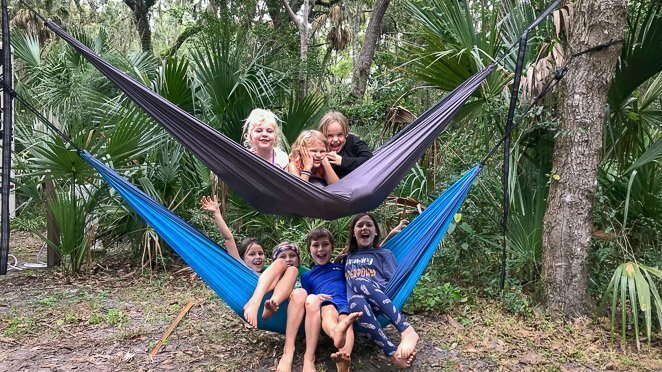 However, traveling as a family often, homeschooling our children, making fantastic memories together, and seeing more sunshine every day WAS definitely on our wish list. 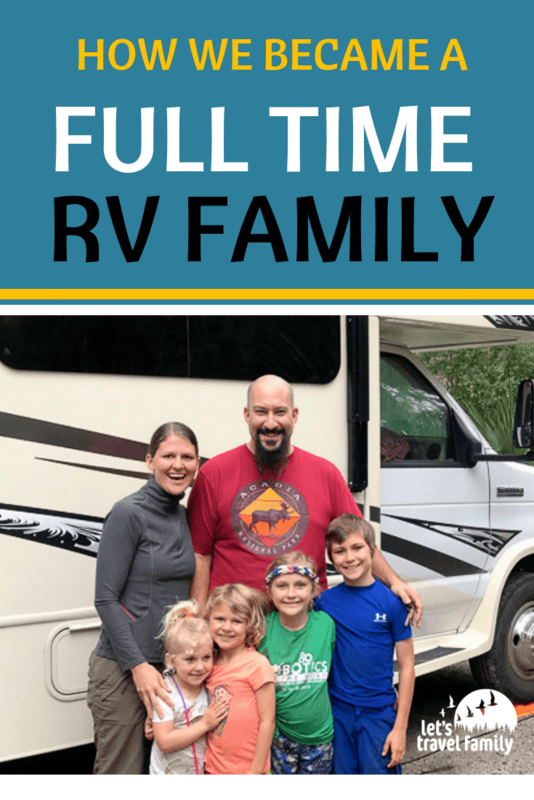 So, how did we become a full time rv family and begin our full-time RV living journey? Well, we came about it in a roundabout way. The RV lifestyle was not something we knew anything about, yet we discovered very quickly that RV life was exactly what we were looking for. 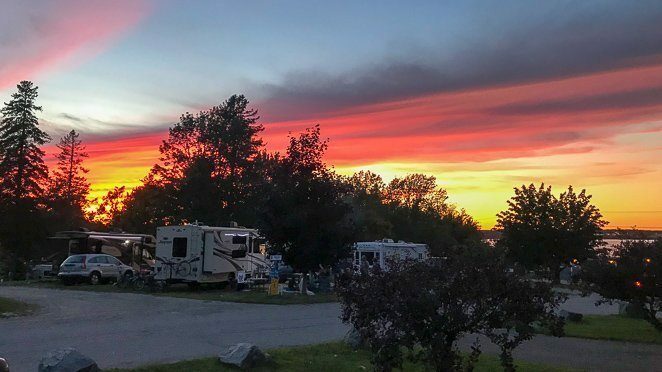 We didn't even know there were hundreds of other full time RV families on the road just waiting to connect. Before we launched as a full time RV family of 6, Tony and I would both put on extra weight, stop working out, stop smiling as much, and just feel a lack of motivation to get out of the house each winter. We would feel like all we were doing was WAITING for our next vacation. So, in February of 2017, we decided enough was enough. We needed to make some big changes in our lives. Little did we know that traveling full time with family, our family, was exactly what we were looking for. Tony and I went through what seemed like a long process of decision-making before we came about purchasing what we believed was the best RV to live in full-time. Honestly, it wasn't long at all. The process only took us 3 months and we were ready to go RVing! First, we thought about moving into a new house in a different location. We looked at US cities with more sunshine, less days with freezing cold temperatures, and possible job opportunities for Tony. Next, we decided to visit our top 3 cities before making the move and began planning a long family road trip to Phoenix, Denver, and Austin. In the meantime, we decided we wanted to live like minimalists and began downsizing our 'stuff' very quickly! Wait, if we sell everything we could travel around the United States until we found our new home-base without having to move said 'stuff'. So, we began looking into the costs of vacation rentals, hotels, cabins etc. across our country and realized it could get pretty expensive. What if we bought a 'house on wheels' or 'tiny home' and drove it around the USA to find our 'perfect' area to settle down? Wait, if we are going to purchase an RV to travel with kids, why not travel all around the United States and see all the fantastic places we have only ever dreamed about? Do other people explore the country while RV living with kids, or are we inventing the wheel here? 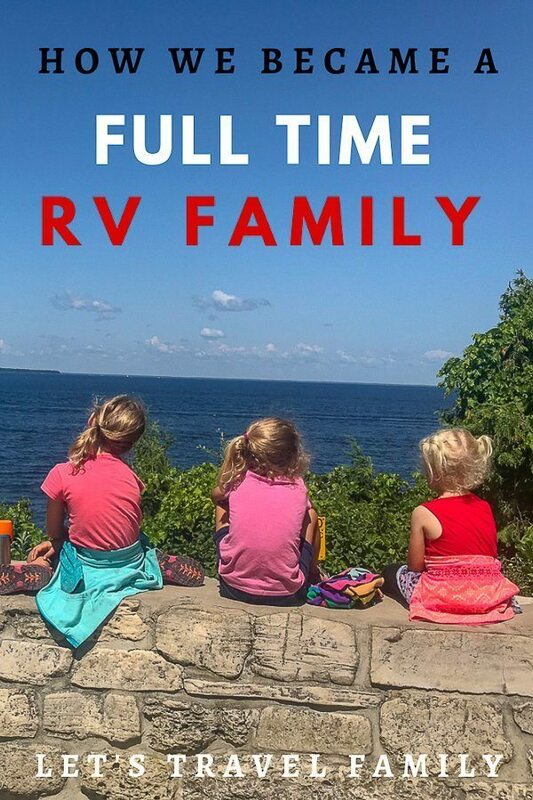 I began searching online and found a large group of 'Fulltime Families' who are full time RV families that travel all around the country. - Crazy Family Adventure - has a family RV blog that provides great resources of information for full time RVing and traveling with children. - Fulltime Families - is a community of other RV families around the USA providing discounts and events for members. Full time families from all over North America meet up regularly building community. What About Income While RVing? What about income on the road? How do you make money living on the road? This is often the number one question we get asked, how do you make money while traveling? Check out our ultimate post with SO many great ideas here. In our situation, Tony asked his employer in Minnesota if he could work remotely full time and they denied him. Searching for digital nomad jobs can take some time. I began searching and applied for a job with VIPKID teaching English online to children in China. We started a family travel blog, Let's Travel Family, and began to monetize it. Learn more here. 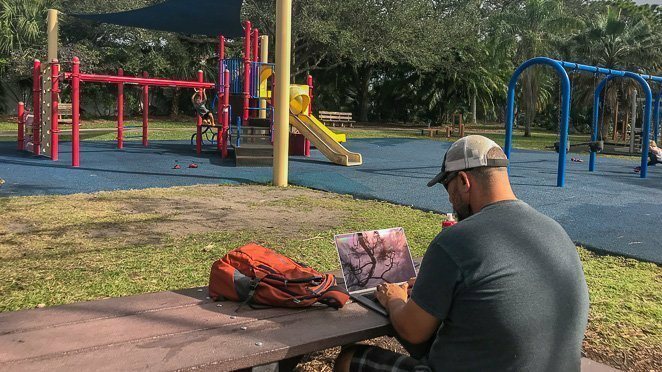 Tony applied to many jobs online so we could be a digital nomad family. He found a job with a great company is based out of Paris, France and every employee works remotely around the globe! Perfect! How do we get internet while we travel in an RV full time? Well, it took us digging deep to find out how we were going to have reliable internet on the road. We found that we needed to budget a bit more than expected to get started with 2 cellular hotspots and many very helpful electronics to boost our signal in the RV. 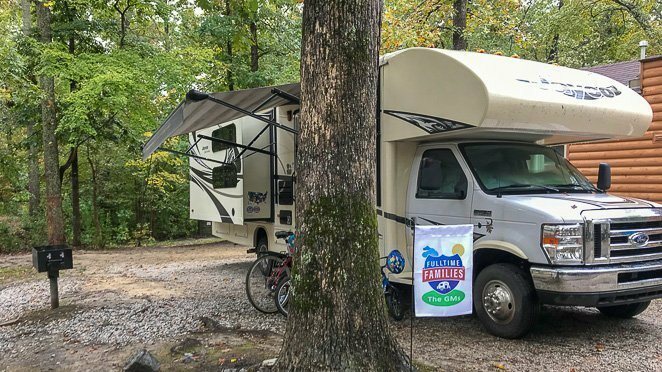 When To Start RV Travel? When would we make the big change? Well, our lease was up in May, so we had 2 1/2 months to begin selling everything and move out of our house to become a full time RV family. RV shopping online and in person took time, but it was exciting! First we had to factor in what we could budget compared to what an RV cost. Then, we had to determine the cost of RV living and make a budget. We sold 80% of our belongings and put 4 bins of keepsakes into my father-in-law's basement for storage. The rest fit into our RV or minivan. Selling most of our furniture and electronics on Craigslist and Facebook gave us a lot to add to our savings. 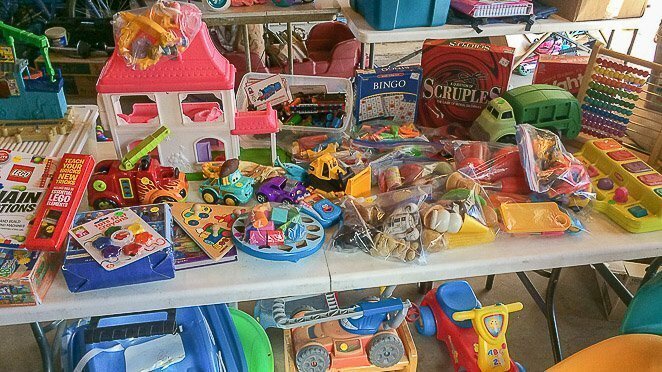 Then we had a HUGE garage/yard sale to sell the rest. I made sure to advertise for the sale on Craigslist, Facebook, and using signs in our neighborhood. Time to purchase the RV!! We bought the RV, signed the paperwork, and picked it up just 5 days before our lease was up on our house! On May 10th 2017, we became a Full Time RV Family! What Did We Need In Our Family RV? We started out with this great device that helped us with cellular signal. I also made sure to buy our Berkey for great water no matter what campground we visited. Oh, and our instant pot and cast iron skillet are used almost daily. If you want to see a full list of our top RV accessories then CLICK HERE. To be honest, it takes a lot of dedication to make the big change like we did. The work it took to organize, research what a full time family is, purchase, and sell things was overwhelming. Determining how weekly road trips would work with our family and what we needed to know was another factor. However, we were determined to make a HUGE change in our family's lives in 3 months time. 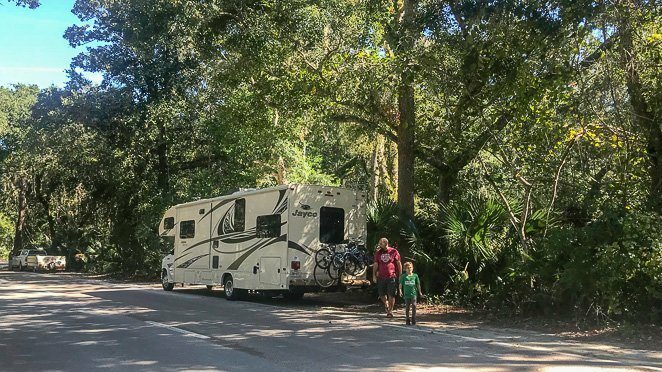 If you choose to take a little more time to get through the steps necessary to begin living your lives as a full time RV family, then it may be a lot less stressful for you. 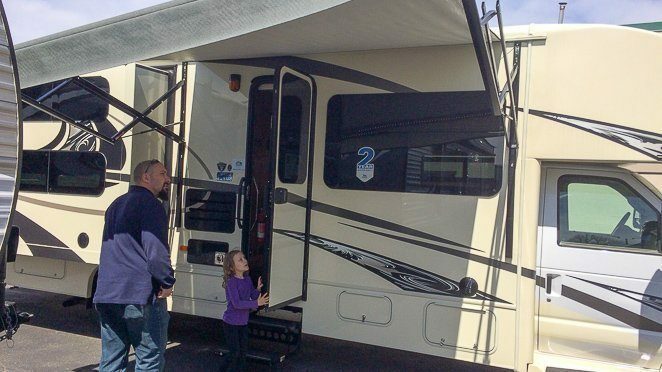 Click here to see more about how to start RV living with your family. The memories we are making traveling as a full time RV family around the USA are priceless. Traveling together and spending more quality time together has always been our dream. Now, we are living it! 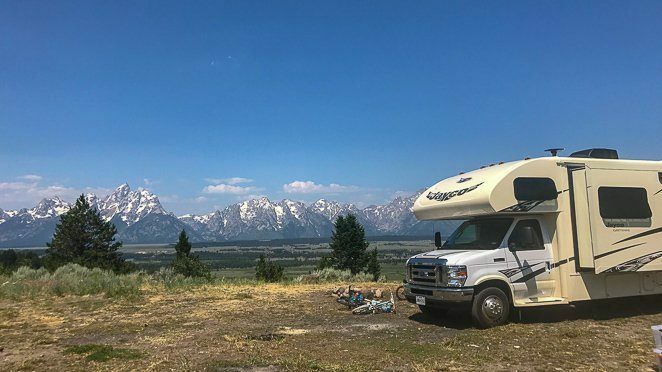 Or, read about RVing in a great boondocking spot outside of Grand Teton National Park.